Amid reports that legendary soul singer Aretha Franklin’s health is failing, there has been an outpouring of support for the Queen of Soul, with well-wishers including everyone from Bill Clinton to Beyoncé. 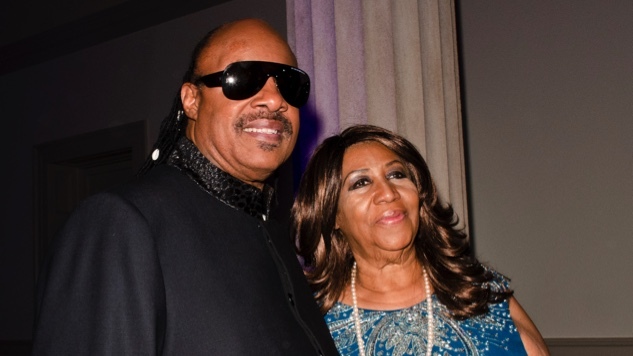 Joining that number now is Franklin’s longtime friend Stevie Wonder, who stopped by her home in Detroit on Tuesday, per the Chicago Tribune. Franklin’s publicist Gwendolyn Quinn also revealed to the AP that actor Glynn Turman, Franklin’s ex-husband, also visited the singer, while Rev. Jesse Jackson is expected to follow suit today, Wednesday, Aug. 15. Concern about Franklin’s condition spiked on Monday, when various outlets reported that the 76-year-old musician was “gravely ill” and surrounded by her family, with Detroit reporter Evrod Cassimy adding, “She is asking for your prayers at this time.” Safe to say Franklin’s fans and peers alike have been glad to oblige. We’ll continue to follow this story as it develops. In the meantime, revisit our Paste Quarterly story on the Queen here, and enjoy a 1971 Franklin show and a 1986 Wonder show, respectively, via the Paste archives below.